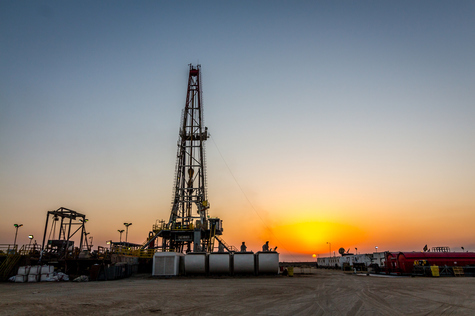 Injured in a Fracking or Marcellus Shale Drilling Accident? Have you been seriously injured while working in a hydraulic fracturing (fracking) or Marcellus Shale drilling operation or accident in West Virginia? Has fracking damaged your land, water, or caused you and your family to become ill? The law firm of Angotti & Straface Attorneys at Law aggressively fights to secure just compensation for gas drilling operation workers injured through no fault of their own throughout the entire Marcellus Shale region of our state. Fracking is a newer form of drilling for natural gas that creates fractures within the rocks below the earth’s surface. These fractures are created by injecting immense amounts of possibly unknown/undisclosed chemicals, water, and sand under extremely high pressure to fracture the shale rock that contains natural gas deposits. These gases and debris then exit the well at high pressure. The process is inherently dangerous due to the high pressures and explosive properties of the gases involved. However, with proper safety measures in place, the vast majority of injuries are preventable. If you have been burned, suffered an amputation, brain injury, or have otherwise been seriously injured as a result of an explosion, landslide, toxic material release, equipment collapse or malfunction, well blowout, gas truck accident, derrick collapse, or any other safety failure, including improperly trained employees, negligence on the part of the drilling company, failure to maintain or use equipment in a safe manner, or any other accident that has resulted in a severe injury, contact our law office right away. We also represent auxiliary workers, including loggers and contractors who have been injured while preparing or closing well pads and related structures. Community or Private Groundwater Poisoned by Fracking in WV? Although we are committed advocates for all commerce and growth that brings much needed employment opportunities to our region, we are strong advocates for safe work practices, as well as environmental responsibility. The health and safety of the residents of West Virginia is our primary concern. Individuals are being seriously injured and suffering fatalities while working on fracking wells, and entire communities are being poisoned as a result of willful or negligent safety and disposal practices. Residents in the vicinity of fracking wells have experienced contaminated groundwater and earthquakes. Some of the symptoms of consuming the chemicals released into the water include: numbness, neurological damage, motor skill issues, memory problems, and respiratory issues. These injustices are preventable and our attorneys are committed to holding at-fault parties responsible for criminal, as well as civil, penalties when their actions result in personal injuries to our clients throughout the entire state of West Virginia. We work closely with you to secure compensation for your losses. Contact Angotti & Straface to schedule your free initial consultation in Huntington, Charleston, Parkersburg, Wheeling, Morgantown, or anywhere in West Virginia by calling: (304) 292-4381.